Since the 1950s, China and India have been locked in a monumental battle for geopolitical supremacy. Chinese interest in the ethnic insurgencies in northeastern India, the still unresolved issue of the McMahon Line, the border established by the British imperial government, and competition for strategic access to the Indian Ocean have given rise to tense gamesmanship, political intrigue, and rivalry between the two Asian giants. 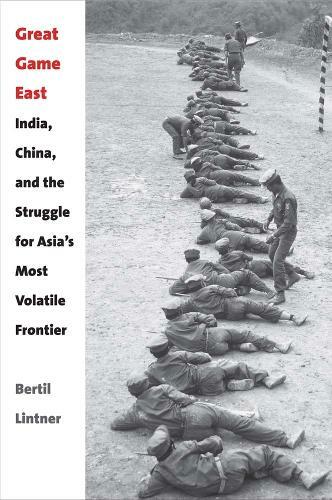 Former Far Eastern Economic Review correspondent Bertil Lintner has drawn from his extensive personal interviews with insurgency leaders and civilians in remote tribal areas in northeastern India, newly declassified intelligence reports, and his many years of firsthand experience in Asia to chronicle this ongoing struggle. His history of the "Great Game East" is the first significant account of a regional conflict which has led to open warfare on several occasions, most notably the Sino-India border war of 1962, and will have a major impact on global affairs in the decades ahead.